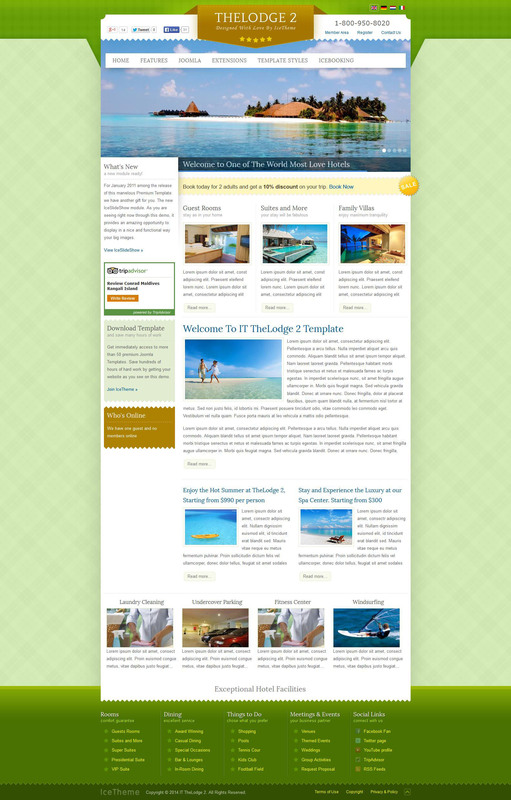 IT TheLodge 2 - stunning Hotel template theme from the development team IceTheme. This template contains 4 color variations, ensuring optimal customize the appearance of the site. Also introduced a new template module IceSlideShow, which provides rotation images on the main page with a choice of animation effects in the settings and very comfortable component booking online room bookings IceBooking.